Giveaways are a great way to gain exposure for your product, brand, book, or website. Giveaway posts and blog posts with giveaways receive an average of 3x more traffic than other blog posts. 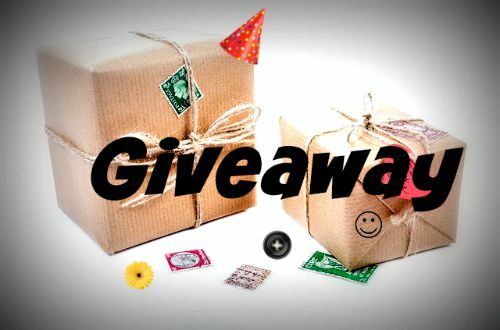 Giveaways are also one of the best ways to build a social media following. We offer giveaways as part of our product reviews, sponsored posts, and author packages. • Prizes must be valued at no less than $25 unless otherwise agreed upon. • Prizes can be merchandise or gift cards or a combination of both. • You have the option of including a link/visit to your website, Twitter, Facebook, Instagram, Tumblr, and Pinterest on the giveaway entry if you like. • Your giveaway can be limited to the US only, US and Canada, or Worldwide. The majority of our readers are from the United States but we do have readers in Canada and other parts of the world. • Brand/Sponsor is responsible for shipping giveaway prizes directly to the winner within 4 weeks of the end of the giveaway. We will provide you with the winner’s information only. We do not ship prizes or cover postage in any way. Prize fulfillment is the sponsors’ sole responsibility.